As important as your brand photos are, we realize that the photoshoot can be somewhat intimidating. It may be your first big photoshoot, you may not know your photographer very well, or you may just be uncomfortable having your picture taken. 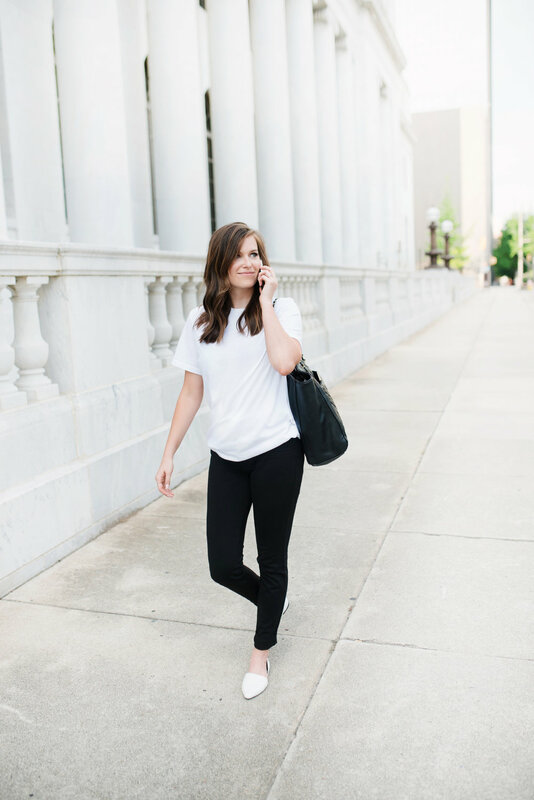 We all get a little bit nervous, but there are lots of ways to assure you feel comfortable and get the most out of your brand photoshoot! We’ve pulled together some of our favorite tips to help you pull of your own brand photoshoot with pictures you’ll love for years to come! 1. Pick a color palette for your shoot, and stick to it. This is most important because this will determine your locations as well as your outfits and props. For instance, if your color palette is white, gray, and black, then picking an outdoor location with lots of trees would not work best for you, because there would be too much green in your images. If you have a completely neutral brand, and you add in a large banner image on your home page with green grass and a blue sky, your website won't look so neutral anymore! City scenes and coffee shops are usually great locations for neutral color palettes. 2. Speaking of props, we definitely encourage them. Props allow you to create different scenes and scenarios that you’ll be able to use for different things across your website and social media. You can switch up a notebook, coffee cup, bag, etc. quicker than you can switch up a full outfit, so bringing lots of props will give you lots of variety in your images. Don't forget your color palette and aesthetic when choosing props! 3. Think about where you need to use the images and plan accordingly. Are you wanting images for your social media, or are you refreshing your website? Knowing where the images are going to go is crucial for getting the most out of your photoshoot. For instagram or your facebook profile photo, you will need squares proportions, but for website banner images or facebook cover photos, you will need long horizontal images. For website photos, think about whether or not you want to put text on top of your images. If so, then you will need a good bit of open space on your image to do so. Think about how many pages you will have on your website, and how many images you would like on each page. You can even create a shot list for your photographer, so that you know for sure you are getting all the images you need! 4. Create a mood board for your shoot. Based on your brand aesthetic and color palette create a Pinterest board with outfit ideas, location ideas, and just the overall feel for your photoshoot. Share this with your photographer ahead of time so they can plan ahead to help you choose locations that will give you the best photographs for what you want. 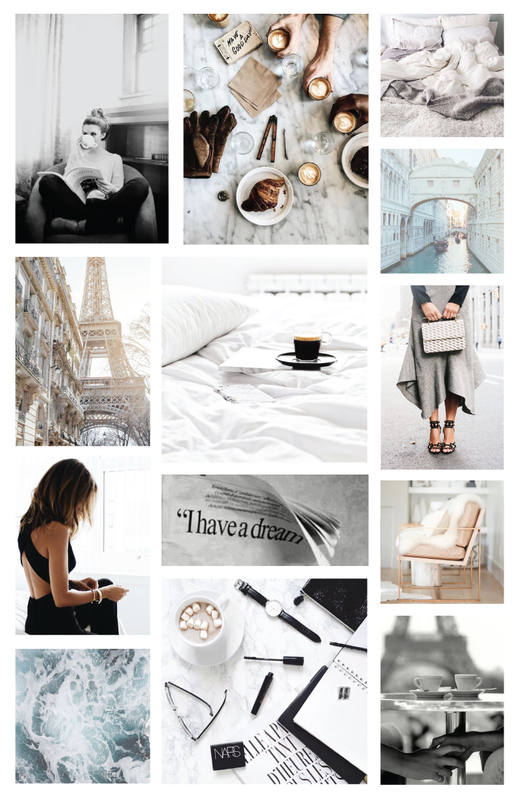 Check out this blog article on How to Create a Pinterest Mood Board for Your Brand. Next, create a separate Pinterest board for posing ideas. I suggest making this board separate, so you don't have to worry about color or aesthetic and get it confused with your mood board. This board is simply for posing ideas! Let's be honest, we've all been there! That moment where we stand or sit where the photographer tell us to, then immediately freeze and feel awkward with what we should do next. Having pose ideas ready to go will make you feel so much more comfortable and relaxed! You can share it with your photographer and he/she can help you get into the pose. On your Pinterest board, study how people set up the shots. How are the props set up? How is the person turning their head, or what are they doing with their hands, etc.? Check out my Pinterest Board here full of Posing Ideas for Photoshoots! 6. When it comes to your clothes, hair, and makeup, keep it classic. You want these images to last a long time, so keeping everything somewhat timeless is key. Don't wear anything too trendy, or do anything outside of the norm for your hair and makeup, unless that is on brand for you. I would suggest keeping your colors fairly neutral, and try not to confine yourself to a season either, such as wearing a really wintery or really summery outfit. Also, think about bringing some accessories with you to switch things up. For instance, wear a white t-shirt, then bring a cardigan, scarf, jacket, kimono, etc. to quickly and easily change up the look. 7. If you are allowed multiple outfit choices, wear your least favorite first, and your favorite last. 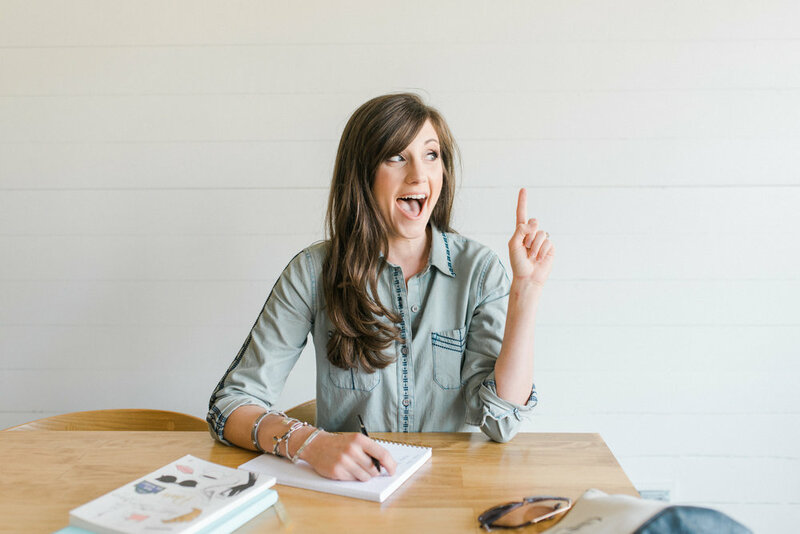 I learned this trick from my talented friend, Rachel Coffey Photography, who was the photographer for all of the brand photoshoots shown in this blog! Like we talked about earlier, you'll probably always feel a little bit nervous at the beginning of your photoshoot. We all do! It may take a few minutes to get warmed up, so wear your least favorite outfit choice first, and save your favorite for the last when you are comfortable, and the jitters are gone! 8. Most importantly have fun and be yourself! It’s easy to tell when someone is having fun with their photoshoot, and when someone feel uncomfortable. Before your photoshoot, crank up some tunes and dance out your jitters, or have some champagne to relax! You can even bring a friend with you to your shoot to help with poses, or to fix flyaway hairs, and to just make you feel more relaxed. Your pictures will turn out better, and you and your photographer will have a better experience too! Don't take yourself to seriously, and just have fun with it!